Happy Tuesday, everyone!!! It's my turn to post over on the PPPR Blog and I have a GREAT Spring Layout to share with you! I used the Paper Crafts and Fair Fun Cutting Files...I love that the actual layout of my scrapbooking page is meant to be used as an element documenting your love of paper crafts but I actually used it as the LAYOUT of my page! 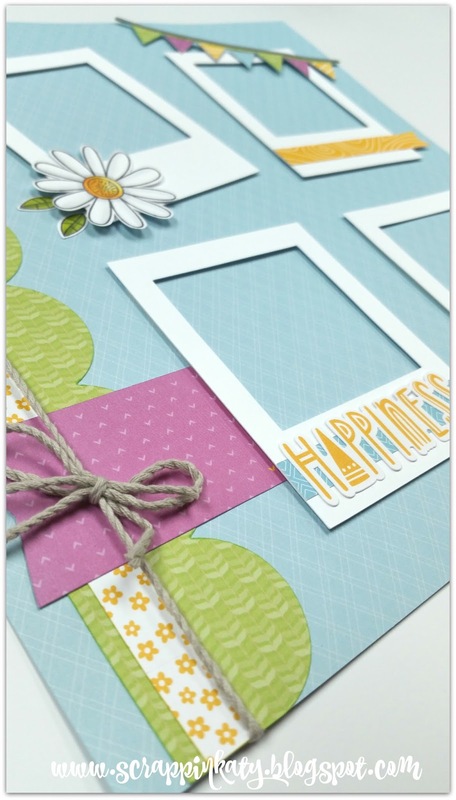 I LOVED using Penelope & Friendship Wishes with these PPPR Cut Files! Remember...Penelope is only available 'till the end of April so get it FAST! Beautiful layout! Pretty colors and I love the fun papers! I love the banner and the border!